Congratulations to Thomas Bogen and Christina DeFalco, the 2016 NHSC scholarship recipients! 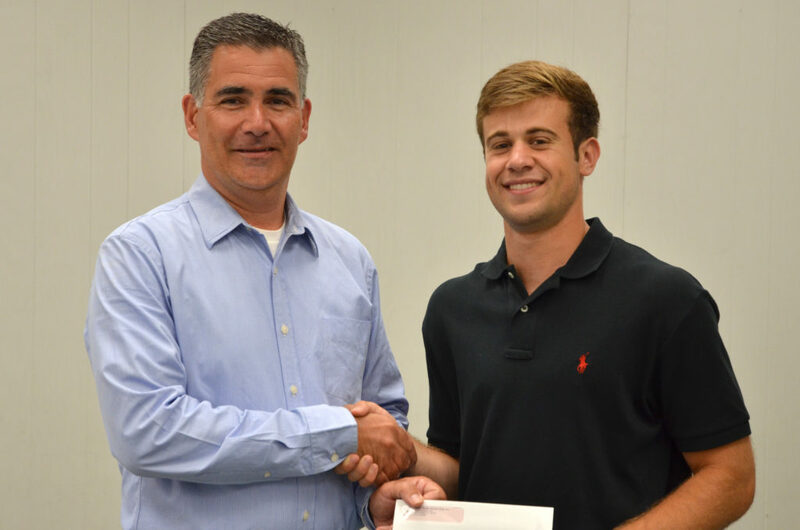 The North Haven Soccer Club recently awarded $500 scholarships to two graduating high school seniors who are members of the soccer club. The annual scholarships are awarded to candidates based on participation and service to the club, their scholastic record and an essay describing what soccer has meant to them. Thomas Bogen, pictured with NHSC President Adam Acquarulo. Thomas Bogen will be attending Quinnipiac University in the fall where he plans to major in accounting. He is a current member of the North Haven Soccer Club and a referee for the Connecticut Junior Soccer Association. 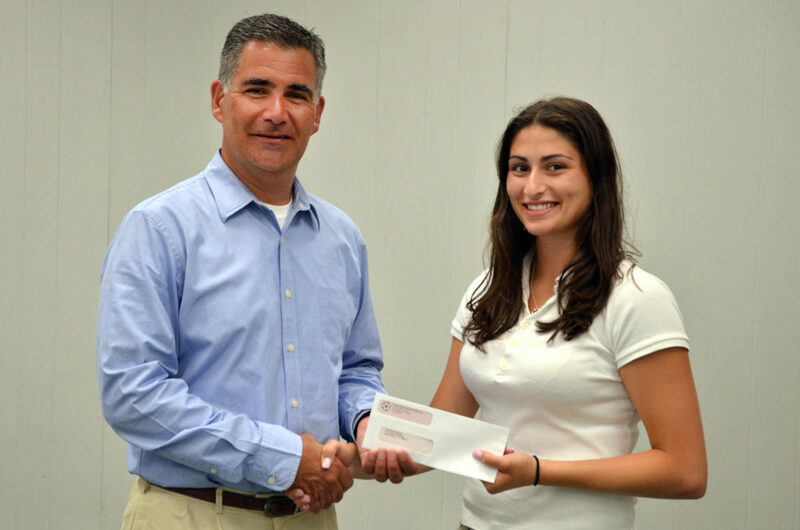 NHSC President Adam Acquarulo congratulates 2016 scholarship winner Christina DeFalco. Christina DeFalco will be attending Salve Regina University in the fall and plans to pursue a degree in nursing. She has been a NHSC player for 14 years, a U8-U10 in-town referee for 5 years and a U8-U10 coach for 3 years. Congratulations again to this year’s well-deserving recipients. The North Haven Soccer Club would like to thank Tom and Christina for their many years of involvement with the club and wish them well as they begin their college careers.